One of the most pressing needs in the DRC is functional Hospitals. While Katanga Province has a number of small hospitals in strategic rural areas, almost all of them lack a reliable electricity supply. Most rely on diesel generators, which are not run often due to the cost of diesel. ​Our first project has just been completed at Lwanza Hospital on Lake Mwero. Costing around US$10,000, the installed 2.4kW system provides 230V AC to 2 Surgery units and a Maternity unit. With this one installation, thousands of people will be able to receive hospital care over the coming years that would otherwise simply not be possible. Relaible electricity in a hospital allows for the installation of: ultrasound equipment, general anaesthetics equipment, surgical suction equipment, cauterising scalpels, diagnostics laboratory equipment, computer technology, reliable communications, and refrigeration. A solar system ordinarily consists of a PV system (Solar Panels) and intelligent management to ensure that the amount of solar energy fed into the system exactly matches the demand at that time. The main advantage of solar for DRC rural hospitals is the fact that once installed, there are no further running costs. There are maintenance tasks to be done, but these are minimal and can be done by locals. In contrast to power supply systems using diesel generators and despite their higher initial cost, solar systems have very low operating costs. In addition, solar systems are flexible and can be expanded on a modular basis as the energy demand grows. Solar systems can also incorporate other power generating sources if available, such as wind and hydro power. Battery systems can also be added to the solar panel system in order to allow excess power to be stored for use during the night. While it would be nice to add full battery capacity "up front," there are good reasons to make more panels the main priority. Firstly, solar battery technology is only just starting to move in new and exciting directions in regard to affordability and maintenance free operation. Secondly, most medical work requiring significant power is done during daylight hours. Finally, the hospitals being targeted do have diesel generators that can be used in emergencies — they just can't afford to run it very often! If people like you provide the necessary financial support, we will install further solar power into both Lwanza and Mulongo hospitals! Among other things, this will enable a much-needed capability—providing potable water for patients who presently rely on friends and relatives to find clean water. BYO food and water . . .
​Imagine medical care without electricity? How about medical care without water! Setting aside the shear lack of medical resources, there is also the real problem of providing food and water to patients. Clean drinking water, in particular, is hard to come by. Patients rely on friends or family to bring them drinking water. 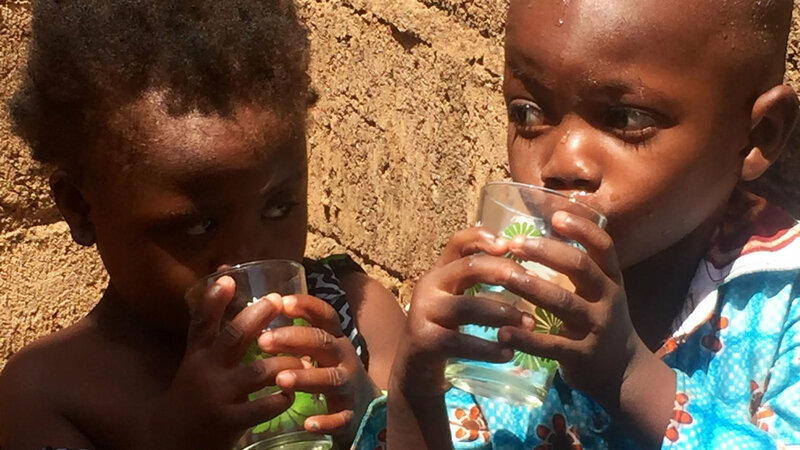 We want to change that by installing equipment which will provide clean drinking water to all patients, thus reducing the incidence of dehydration in the wards as well as illness as a result of dirty water. 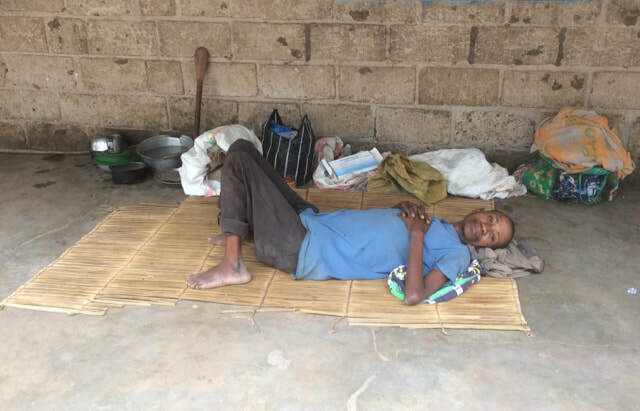 We target hospitals in DR Congo since it is one of the poorest countries in Africa, and without international help there is simply no way medical staff can treat those who come to them in need. Garenganze hospitals have a good reputation among the locals and provide care to people regardless of race, religion or social status. We partner with Garenganze and seek their input before selecting projects. We work with those who run the facility in order to meet their needs as much as possible. In addition, we use the installation process to train local people in the basics of solar energy and how to manage and maintain installed equipment.